Surrounded by a spectacular mountain range and rugged beaches, Cape Town has one of the most beautiful city backdrops in the world. Footprint's Handbook provides invaluable information on transport, accommodation, eating and entertainment to ensure that your trip includes the best of this vibrant city. 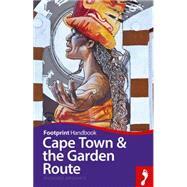 Essentials section with useful advice on getting to and around Cape Town. Comprehensive, up-to-date listings of where to eat, sleep and seek adventure. Includes information on tour operators and activities, from wine tasting to mountain hiking. Detailed maps for Cape Town & around. With detailed information on all the main sights, plus many lesser-known attractions, Footprint's Cape Town Handbook provides concise and comprehensive coverage of one of the most beautiful cities in Africa. Originally from London, Lizzie Williams has been travelling in Africa since 1995 and has visited more than 20 African countries and almost 100 parks and reserves. Starting out on trips across the continent as a tour leader, she has sat with a gorilla, slept amongst elephants, fed a giraffe and swum with a hippo. For Footprint, she is author of South Africa, Namibia, Kenya, Tanzania, Zimbabwe and Uganda and numerous Footprint Focus guides to specific regions of these countries. For Bradt, she has written the only country-specific guidebook to Nigeria, and has worked on numerous African titles for AA Publishing, Frommers, DK Eyewitness and Rough Guides among others. Lizzie also regularly contributes to numerous magazines and writes destination guides for leading websites specialising in African travel. When not on the road, she counts herself very lucky to call beautiful Cape Town home.